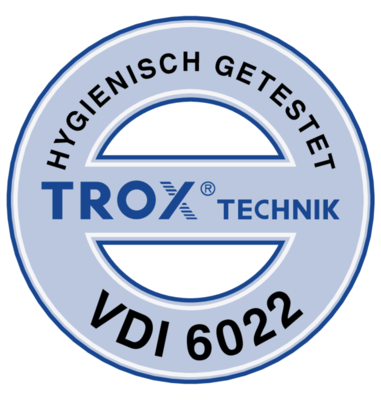 Type LVC | TROX Malaysia Sdn Bhd. 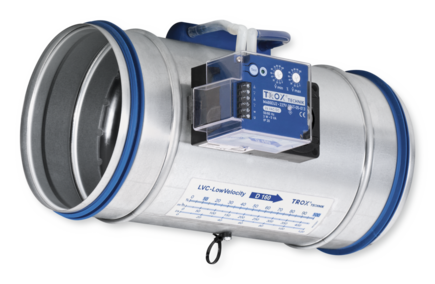 Circular VAV terminal units of Type LVC for the precise supply air or extract air flow control in variable air volume systems with low airflow velocities. A new measurement principle makes it possible to measure low volume flow rates. 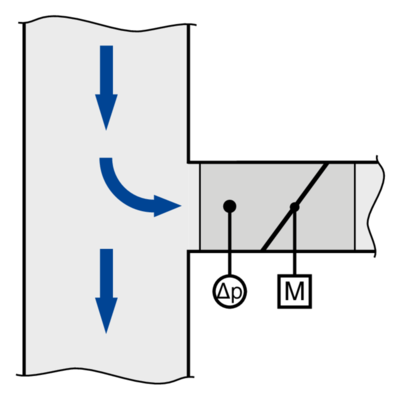 The pressure is measured by means of a nozzle with tappings before (upstream) and after (downstream) the damper blade. The Easy controller or the Compact controller of the LVC determines the resulting differential pressure (effective pressure) and compares it to the stored characteristic. 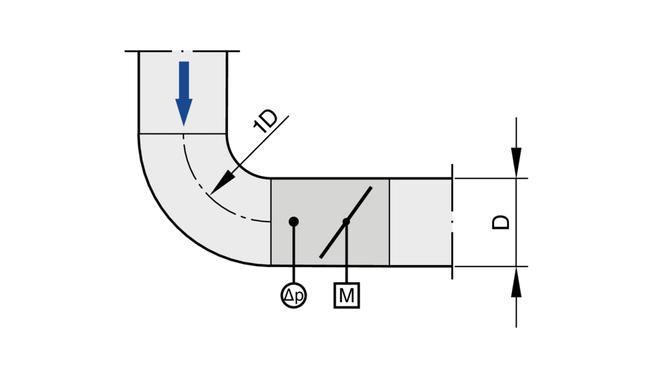 This measurement principle is characterised by small measuring tolerances, and the upstream conditions do not have to meet any special requirements. 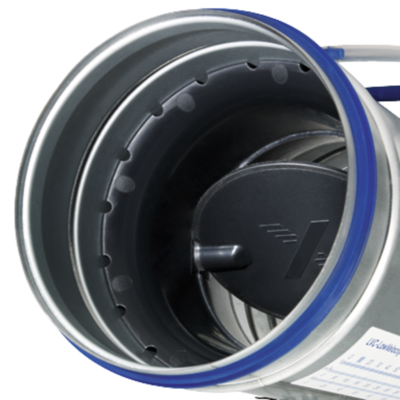 Circular VAV terminal units for variable air volume systems with low airflow velocities, suitable for supply or extract air, available in four nominal sizes. 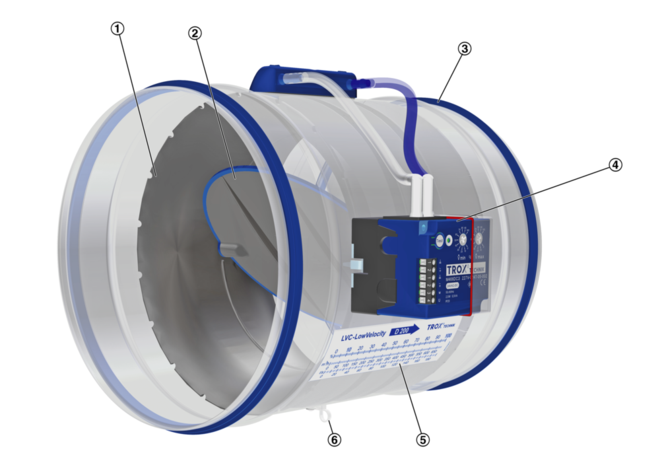 Measurement and control of low volume flow rates based on a new measurement principle. 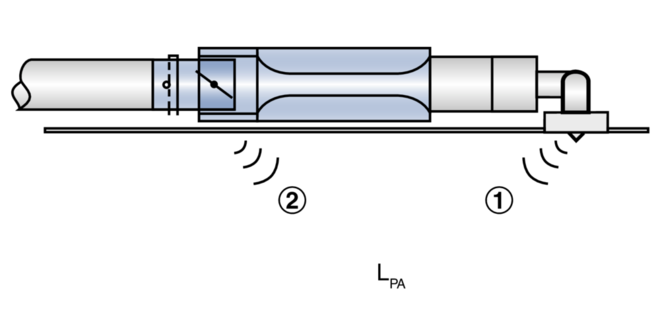 Plastic nozzle with damper blade for measuring the differential pressure upstream and downstream of the damper blade (effective pressure). 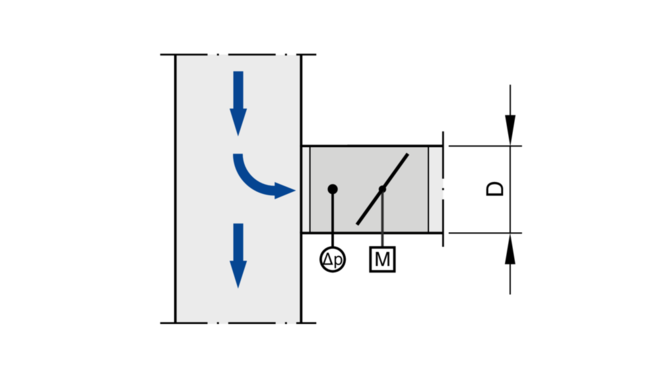 The relation between damper blade position and differential pressure is stored as a characteristic relationship in the Easy or Compact controller. This results in high control accuracy even in case of unfavourable upstream conditions. Selection based on nominal size determination. Ready-to-commission unit which consists of the mechanical parts and the electronic control components. Units are equipped with a plastic nozzle with integral damper blade. 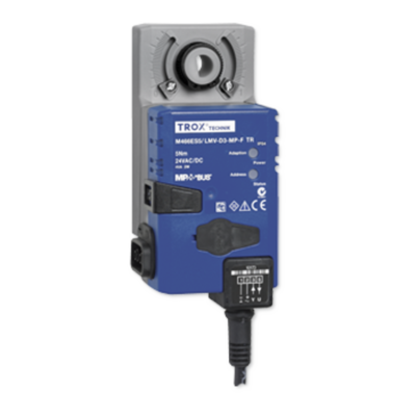 The averaging differential pressure sensor is resistant to dust and pollution. Position of the damper blade indicated externally at shaft extension. Damper blade is factory set to open position which allows ventilation airflow even without control. Closed blade air leakage to EN 1751, at least class 1.